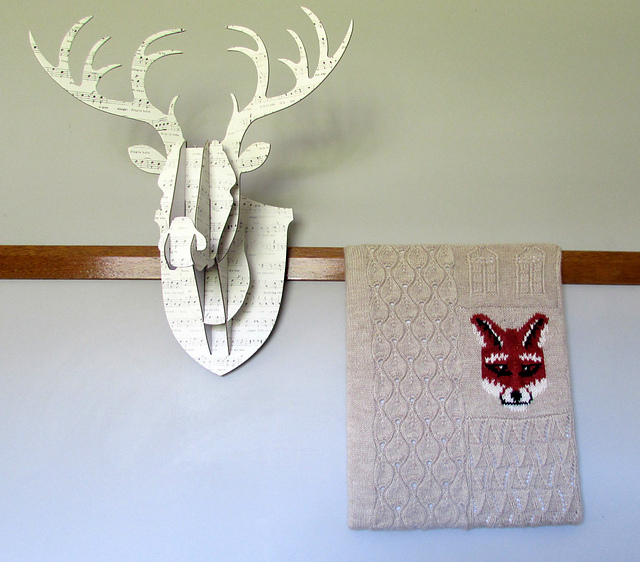 In September 2013, one of my Ravelry groups that I play knitting in cyberspace with, challenged each other to produce a knitted wall hanging over a couple of months. We had a couple of sample patterns to inspire us. We all had a go but overall it stretched a few of us out of our comfort zone. Prolific knitters we certainly are. Creative thinkers outside the square maybe not so much. But it sparked something in the back of my weird little brain that I think has enormous potential as: (a) a great way to stashbust some yarn, (b) a potential way to do something creative with that stack of swatches many knitters generate, (c) a cool way to sample stitch patterns you love but without having to commit to a full garment and (d) a unique and cheap way to creat original artwork to decorate your walls. I’ve had a number of ideas about how to do this percolating in the back on my mind for quite a while and it seemed like a great opportunity to finally stop thinking and start doing. My idea all began with this fox square. 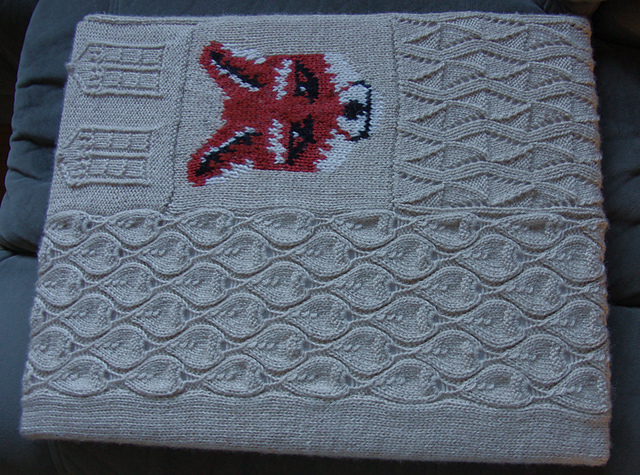 The pattern for the fox picture comes from Knit Today issue 81 January 2013 and is is from a bag pattern called Urban Fox. I’m pretty sure that this is the pattern that made me buy the magazine originally. One of my eldest daughter’s friends is absolutely obsessed with all things fox and I thought it would make a good present for her. Turns out its going to be part of a piece of urban man cave decor. So this is to go on the walls of my boy’s man cave to go with the taxidermy stuffed animal heads he is creating. (There are a lot of dismembered moose and deer stuffed toys in my house currently waiting for the woodworkers to finish varnishing their plaques). 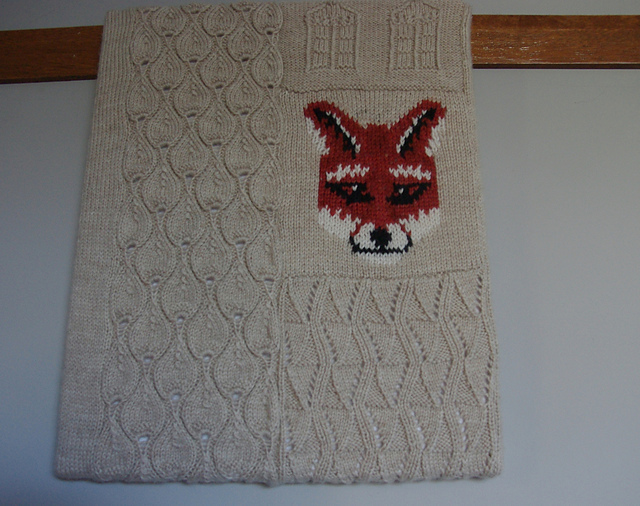 Then I decided to frame the fox with a series of strips and squares in the cream/fawn wool of the background used for the fox. I took the opportunity to play with some patterns that have caught my eye (or appeal to the boy). 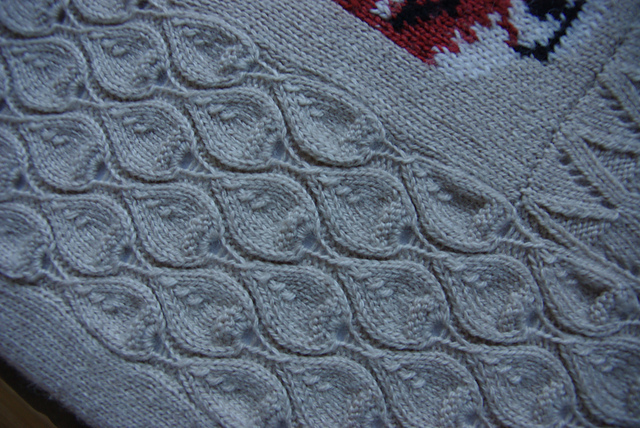 Strip 1: The leaf pattern used in the free scarf/stole/shawl pattern Physalis by Anna Kuduja. Knitted leaves are such fun to make. Square 2: The Tardis from Bigger on the Inside from Knitty Spring + Summer 2012 by Kate Atherley. (The boy is a missive Doctor who fan). Square 3: Lace pattern from Friday Night In Jacket by Amanda Jones from Simply Knitting Issue 102. 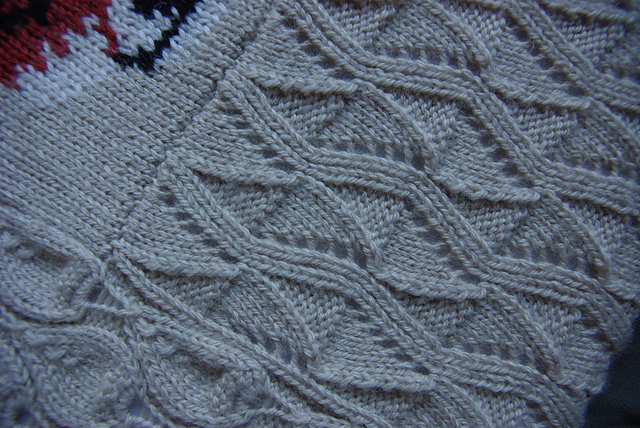 I'm really having a bit of geometric lace phase at the moment. And here's where the cool bit of the idea for this artwork really comes in. I decided that in order to make this a picture I wasn't going to go the traditional wall hanging route by adding a backing or edging and some sort of hanging rod to the top. I decided to use my knitted fabric to stretch over a purchased canvas. So then I had to knit two long stocking stitch strips, one for each edge to wrap around the picture frame. 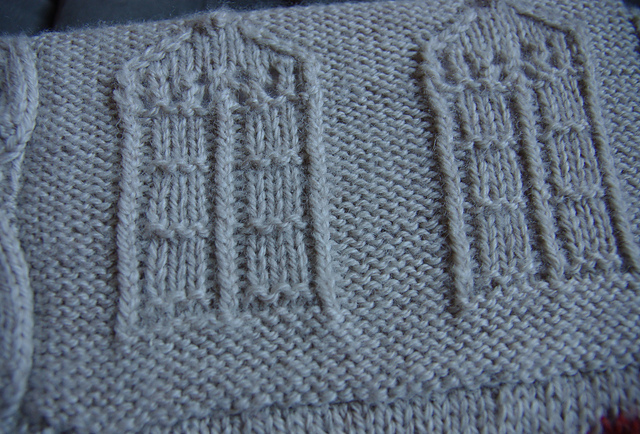 I also knitted a small section of stocking stitch onto the top of the Tardis square to make this strip the same length as the others. Assembly: I bought a pre-stretched canvas frame from our local Warehouse. (Cost $12 for three - they are about 55 cm high by 45 cm wide). I sewed all pieces together to make a large square. I blocked the individual pieces before sewing them together. Steam pressed a few stubborn seams flat. Stretched the knitted piece over the frame. On the long edges it is long enough to wrap right around the frame and tuck under. Enlisted help of the head of the household to staple the piece to the frame around the back using a staple gun. Folded knitted piece carefully at the corners and stitched in place along folds before stapling for extra security. I’d show you the back but it’s messy. Added a string across the frame about 1/3 way down for hanging. So, I’m proud of this. Proof of concept established. I think this would work great with swatches too. A million ideas dancing in my head (and I still have two more canvases). Stay tuned. (Sorry about the wide variety of colours in these photos. The yarn I used to make this is the most frustrating wool to photograph even close to its true colour and it depends too on whether I photograph under artificial light or not. It's closest to creamish warm fawn with an undertone of grey).